Various reports on the prevalence of gastroesophageal reflux disease (GERD) and uninvestigated dyspepsia have been conducted in Western countries. We sought to determine the frequency of GERD symptoms and uninvestigated dyspepsia in Korea. Telephone interviews were conducted with 1,044 individuals. Of all subjects, 7.1% reported that GERD symptoms were present at least once a week, and 3.8% at least twice a week. The prevalence of heartburn according to educational level and acid regurgitation according to age was significantly different (P < 0.05). The prevalence of uninvestigated dyspepsia was reported as 12.2%. Dyspepsia was divided into subgroups of 34% ulcer-like, 56% dysmotility-like, and 10% nonspecific. The occurrence of dyspepsia did not vary according to age, gender, educational level and household income. As frequency of GERD symptoms increased, quality of life significantly decreased. 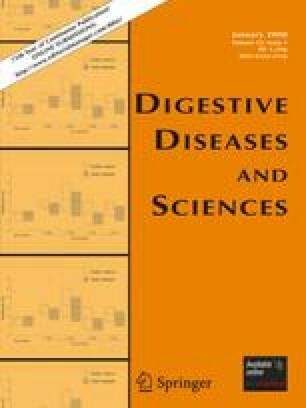 We concluded that GERD symptoms and uninvestigated dyspepsia were prevalent in Korea. The prevalence was similar to that of other Asian countries. This work was supported by the research fund of Hanyang University (HY-2005-1).